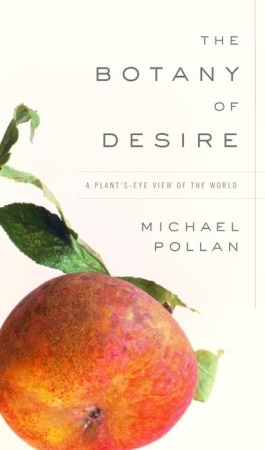 In The Botany of Desire, Michael Pollan argues that the answer lies at the heart of the intimately reciprocal relationship between people and plants. In telling the stories of four familiar plant species that are deeply woven into the fabric of our lives, Pollan illustrates how they evolved to satisfy humankinds’s most basic yearnings — and by doing so made themselves indispensable. For, just as we’ve benefited from these plants, the plants, in the grand co-evolutionary scheme that Pollan evokes so brilliantly, have done well by us. The sweetness of apples, for example, induced the early Americans to spread the species, giving the tree a whole new continent in which to blossom. So who is really domesticating whom?